MFF Ltd prides itself in providing a quality product. As part of this quality system, the company is able to provide full tracability of its products, from hatchery to harvest and delivery to the customer. 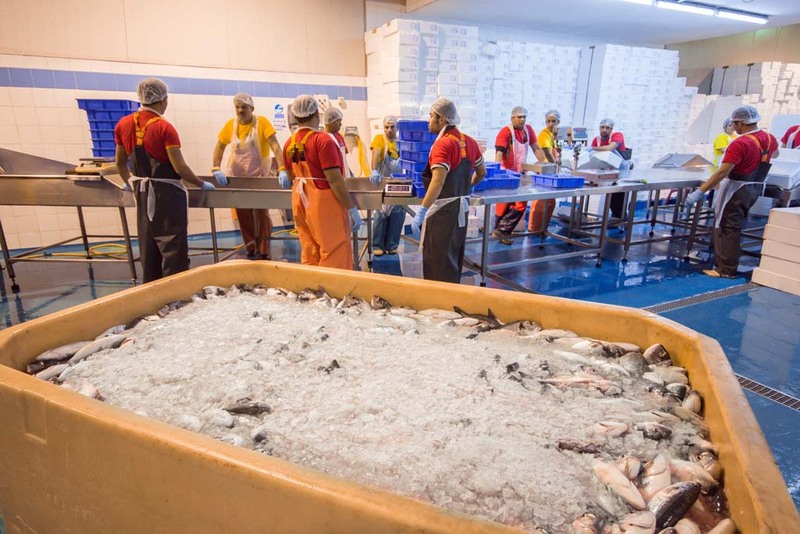 Taking care of the fish by good handling and immediately setting into motion and maintaining the ‘cold chain’ of fish handling ensures that the best quality fish is provided to the consumer. 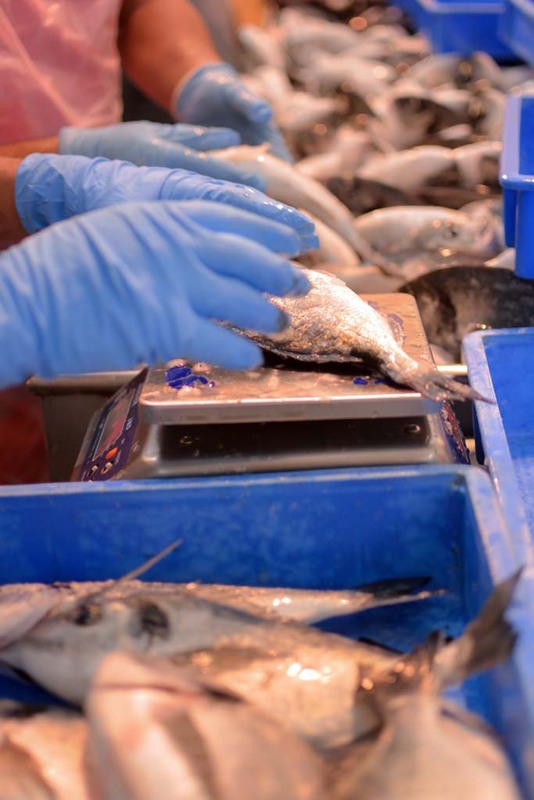 After harvesting from the culture cage, small fish such as the gilthead sea bream and the European sea bass are immediately placed into insulated harvest bins containing an appropriately proportioned mixture of water and ice. The ice is made fresh by the company itself and is stored in an insulated silo until use. This slurry ensures that the fish which are placed into it are completely surrounded by chilled water to start reducing their temperature immediately. 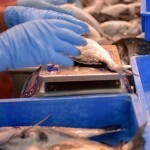 This kills the fish quickly and efficiently, thereby maximising quality of the product at this key point in the process. 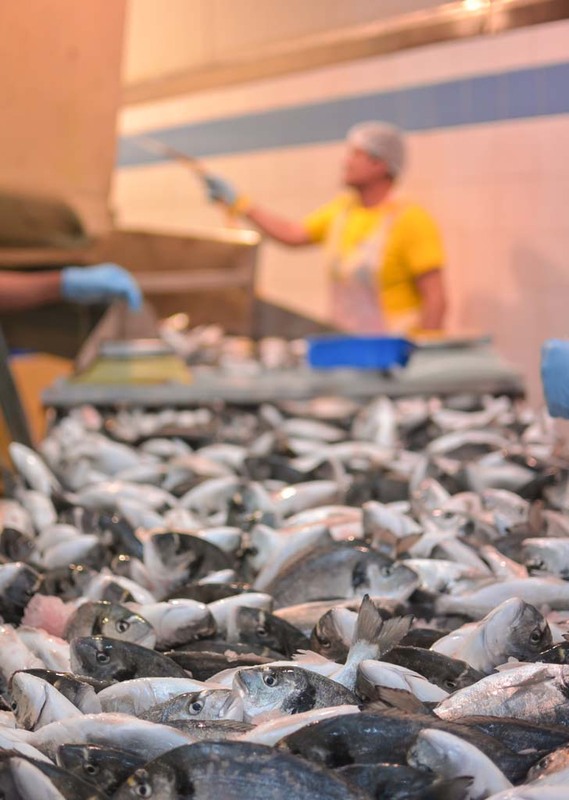 The harvest bins containing the fish are then transported to the packing facility where they are tipped into an ice separator and selection tray for the next part of the process. 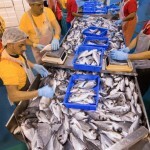 Here workers select out fish according to the size category requested by the client, using electronic balances if needed in this selection process. 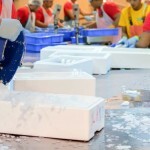 The number of fish placed into each insulated box is determined by the final target weight of fish required in the insulated polystyrene box as requested by the client. 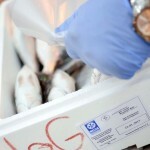 After packing into polystyrene boxes, fish are covered with a thin plastic sheet and ice placed on top of the sheet. 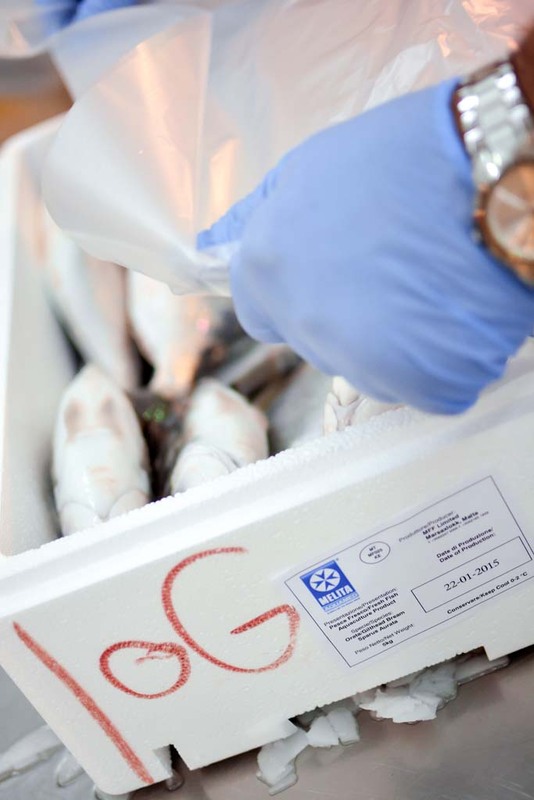 The purpose of this is to maintain the appropriate temperature of the fish in the box until they are delivered to the client. 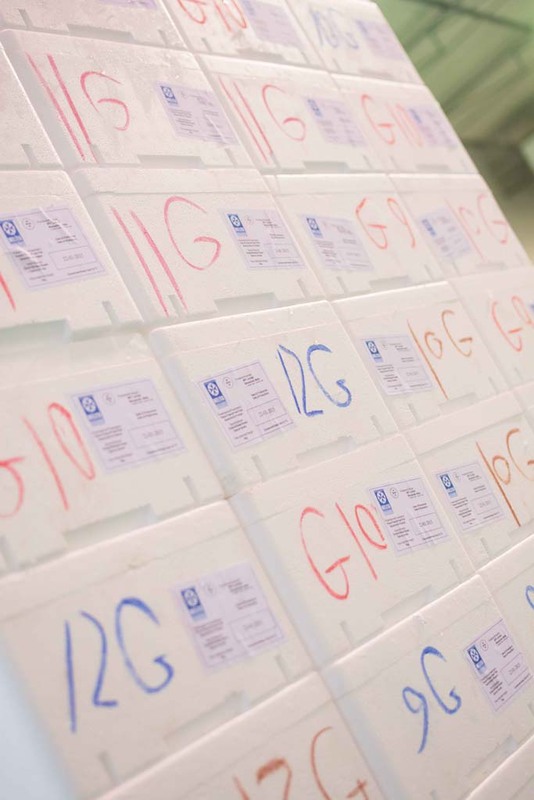 The boxes with fish are then closed with a lid and placed on pallets for transportation in refrigerated trucks which ensures all fish arrive at their destination in top quality. 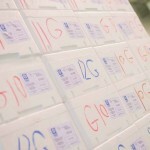 Each polystyrene box is labeled with a sticker indicating the date of production and other details about the product, in line with applicable EU regulations. 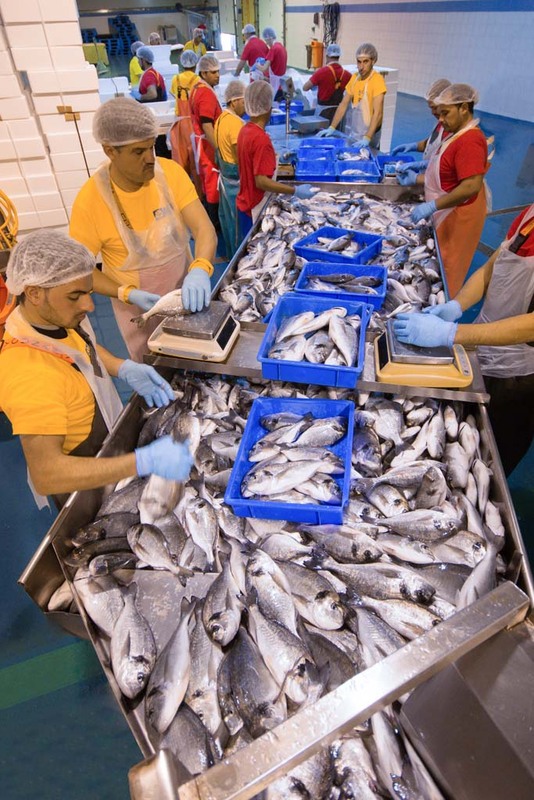 Atlantic bluefin Tuna can also be processed and packed at the facilities of MFF Ltd. 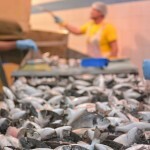 Individual fish are harvested from the cages and immediately placed in harvest bins containing a mixture of water and ice. 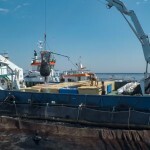 These harvest bins are then transported to the processing facility where the fish are processed in readiness of packing. 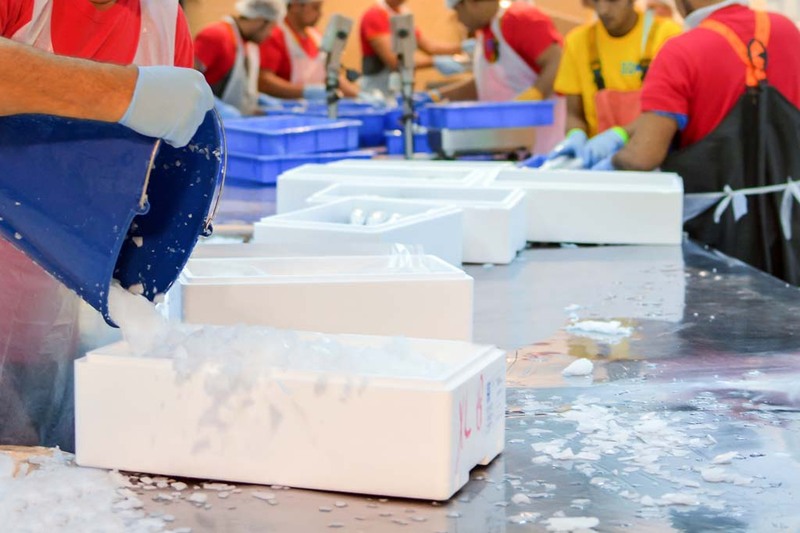 Due to the size of this fish, each fish is handled and processed individually and carefully packed in special boxes with ice to be transported by air to its final destination. 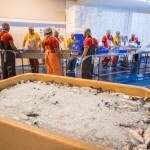 At all points during the process, the temperature of the fish is carefully controlled to ensure the highest quality of the fish. 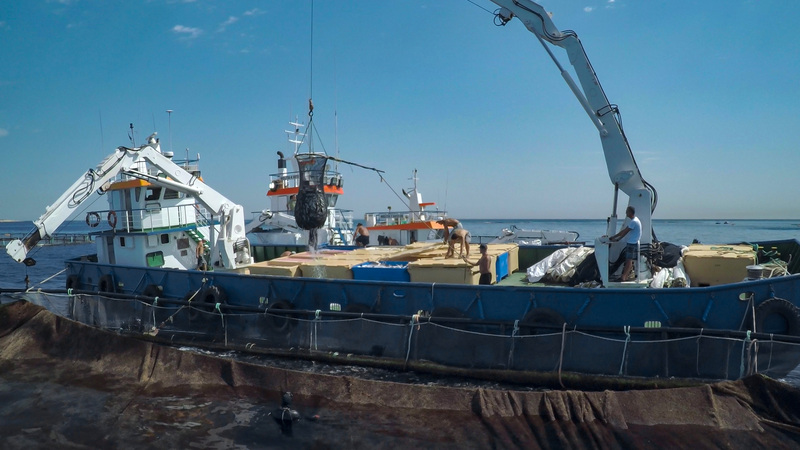 A similar process can be applied for the handling, processing and packing of Atlantic Bluefin tuna purchased directly from the fishermen during the Maltese longline fishing season. HACCP is an internationally recognised quality management system which identifies, evaluates and controls potential hazards which may be significant for food safety. 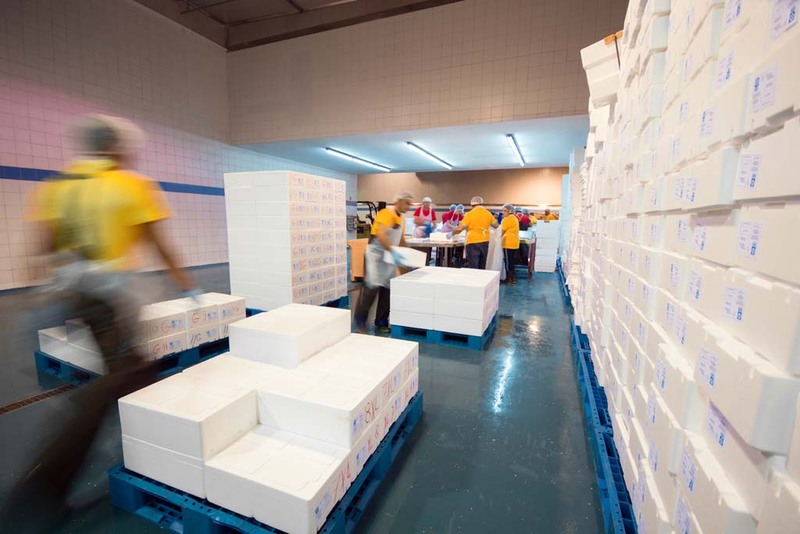 As part of operating with HACCP and in line with the ISO 22000 standard, MFF Ltd has established and documents all the requisite Sanitation Standard Operating Procedures (SSOPs). MFF Ltd has carried out a hazard analysis on all its processes to determine the Critical Control Points (CCPs) and establish monitoring and verification procedures to confirm all procedures related to the HACCP system are functioning well.